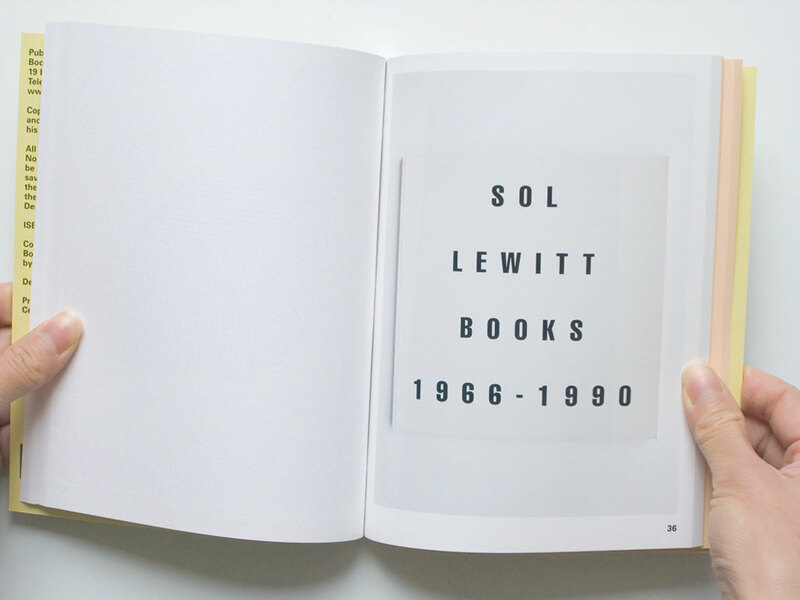 This artist’s book consists of photographs, taken head on, of front covers of historical artist’s books from Jonathan Monk’s own book collection, plus a conversation between Monk and Seth Siegelaub. It is published with three slightly different versions of the cover: one with the price in British pounds, one in US dollars, and one in euros. 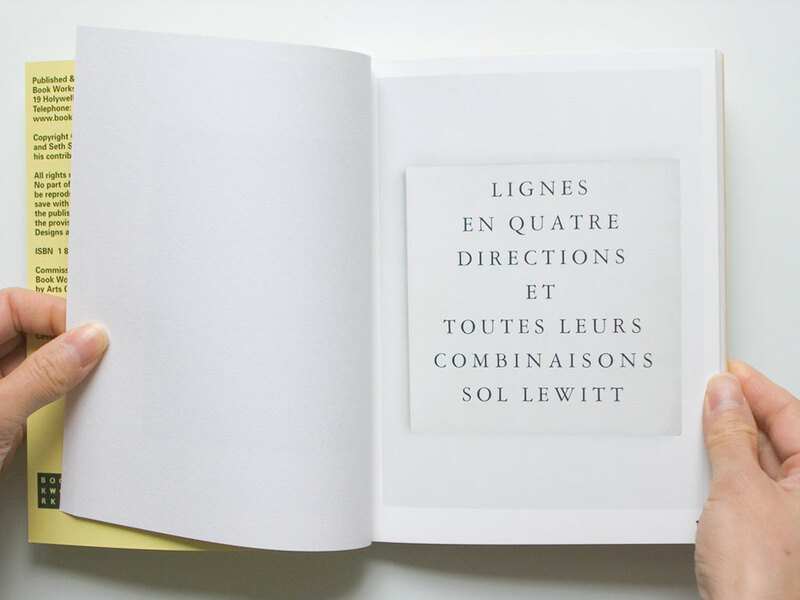 Cover Version starts immediately with Monk’s pictures of books, preceded by no endpapers, colophon, or title pages. 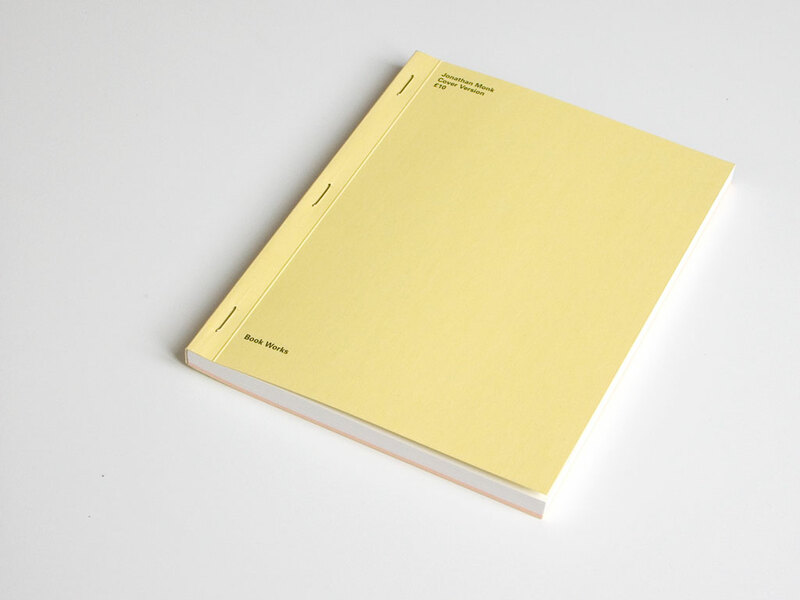 The credits and copyright are relegated to the inside of the front cover and the acknowledgements to the inside of the back cover. Seeing that this is a book of front covers, it seemed appropriate that, inside the book, only the right-hand pages be printed since the front cover of a (western) book is always to the right of the book’s spine. This was emphasized by the images being reproduced on single-sided high-gloss paper stock. In order to print on the glossy side of the paper only, the book had to be composed of single leafs. 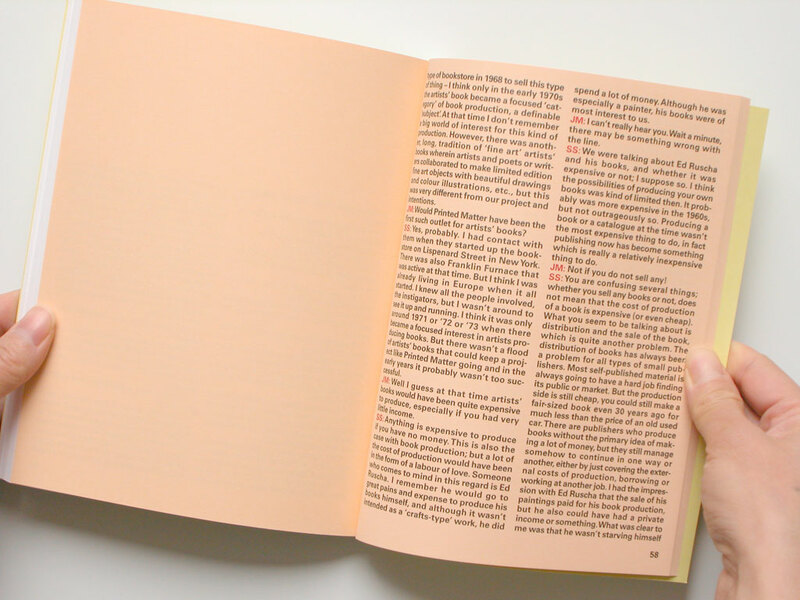 The conversation “On Book Making and Book ” is also printed on right-hand pages only but it is distinguished by a colored paper stock. 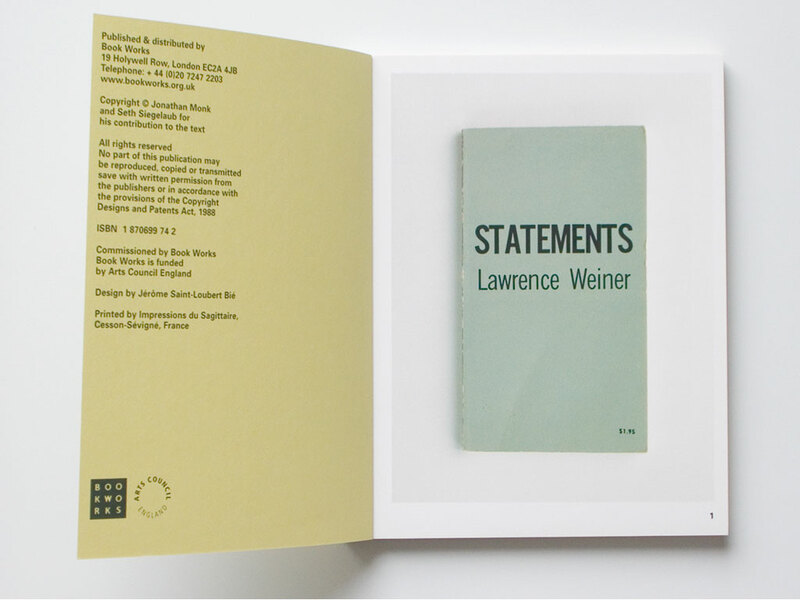 Like Ed Ruscha’s artist’s books, the end of each section contains blank pages. Here, the blank pages could have been removed since the pages were cut into single leafs rather than remaining signatures, but they were left in just because that’s how much paper it took to produce the book.